This toddler cape from Rabbit Skins is perfect for just about anything - Halloween costumes, themed parties, and so much more! Use our design center to add fun art and text. Customize one for your kiddo now! It's time to name the World's Best Valentine! Customize this on our easy to use Design Center to add his name and any arts that you'd wish to! 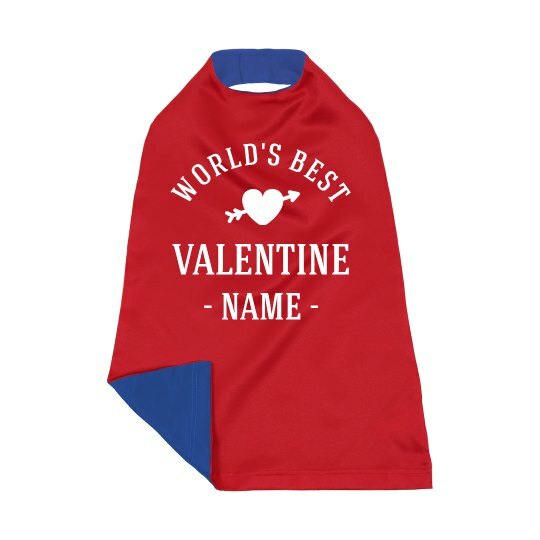 Let your little cupids wear this cape on Valentine's Day and make him look sooo adorable because, hey! They are the new superheroes for love!